Keep the title in mind. It’s The Last Man On Earth, not the last human. So if you’re wondering what star Will Forte is going to do with all that post-apocalyptic time on his hands . . . well, there’s no need for that. Not even in the short run. Fox is being gently firm about this in a letter accompanying the first two episodes, which air back-to-back on Sunday night. The confirmed cast members, other than Forte, are January Jones, Mary Steenburgen, Cleopatra Coleman, Mel Rodriguez and Kristen Schaal (voice of Louise Belcher on Fox’s animated Bob’s Burgers. One of them materializes at the end of Episode 1. And that’s all you’re gonna get regarding characters other than Forte’s Phil Miller. The adult comedy series is set in 2020, “Two Years After the Virus.” Phil is driving around in a bus, looking for any signs of life. One by one, he crosses off whole states before deciding on Tucson, Ariz. as his home base. He picks out a palatial home as his new residence before going about the task of trying not to bore himself stiff. His only friends are a series of athletic balls, inspired by Wilson the volleyball in Castaway. It so happens that one of them is an under-inflated football, although Last Man On Earth was filmed long before the New England Patriots “scandal” and already has its first 13 episodes in the can. Accompanying pop music plays a big role in Episode 1, which charts Will’s fairly hilarious efforts to amuse himself. A $10,000 bottle of wine goes great with a can of SpaghettiOs. And there all kinds of ways to reinvent bowling. Phil otherwise spends a good deal of time at the Ol’ Rozeo’s Mexi-Irish Pub, where he drinks himself into a stupor while talking to his balls. There are other, more basic activities to help pass the seeming eternity of time. Fox sent Sunday’s initial two episodes for review -- and not much should be said about the second one. But this is a concept that so far doesn’t lack for execution. 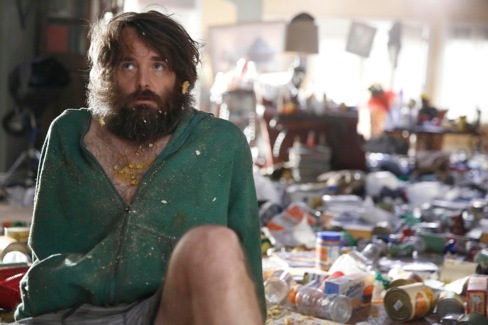 Last Man On Earth has no chance at all to be a blockbuster in league with Fox’s new Empire. But it’s another distinctive example of what the Big Four broadcast networks should dare and do. “I don’t need people. I can make it work on my own. Watch me! Watch me!” Phil vows to God. We’ll see about that. And soon.